Islanders leave Saturday for Saskatoon so that is when both blogs go off-line/private. I set up the preseason roster, audio blogged or wrote what I think will happen on the ice and gave analysis on latest lighthouse news countless times with a lot of other things. I got a little busy here for the final few days to send everyone into the season best as I could. I hope for the best on and off the ice for the New York Islanders moving forward and I do think this team will be in contention. Off the ice I said/wrote everything I thought and not sure how it will end up but feel a compromise will happen at some point to allow the project to be constructed and this team will be here regardless until at least 2015 with no owner moving them away from a 300m dollar cable deal in the NY market whether they play at Coliseum, Queens or across the street from Msg as they have the right to relocate anywhere in New York. Feel free to google cache, internet archive to keep viewing working links or old entries but I will not be making any more changes. Nothing else to be done here now, once again Thank You very much. Not to hit any of this stuff too hard....................however. It seems a few years ago the New York Islanders were one of the first clubs to go all out on the camp invites and folks were critical then as Park, Dunham were brought into camp without an NHL contract and tried out to make the club. Now it seems unless a bunch of players are invited it's a mistake again? Anyone ever think all these prospects need the best chance to win a spot over someone with a one-way deal and perhaps between waivers/ possible trades the Islanders already have their plan? They still have first call on all players placed on waivers based on last seasons standings and with clubs against or over the cap Garth Snow if he wants holds the cards. Regarding informal workouts Michael Peca still skates in Buffalo, it does not mean he's about to become a Sabre but as the Buffalo News article I posted stated this is one venue former players gather to skate before a season contract or not. How many McCabe to the Islanders rumors surfaced because he spent part of his summers working out here? Benoit Hogue worked out here also, it never meant he's about to be resigned by the Islanders. If Mr Botta wants to report he has sources where the Islanders could relocate just give us all the locations interested (plus who) and please spare us the teasers. It would also not hurt to report once again the team has a binding lease with Nassau/Smg for the next six years so maybe folks can concentrate on this season and not have them thinking Charles Wang can relocate by next summer or next week? At the very least start being as critical of the newspapers for not covering the club as you used to be in your old job and put the blame on the papers/editors where it belongs. It would not have been a bad idea to call out the Times who had space to talk with you about Point Blank but not New York Islander hockey print coverage in their newspaper/blogs? Bottom line here if you are going to correctly write the Isles website is 80/20 ads vs hockey content you have to blame everyone or why bother at all because the Knicks are going to be covered regardless of how brutal they have been so it's not about games and results? I don't recall the Post spending more than a day in Moncton the last few years if that and the News/Times did not go at all. We all get the coverage is poor and involves only part of one newspaper. The other bottom line is Mr Botta is no longer obligated to write about the New York Islanders yet still provides excellent interviews like the one we got with Bergenheim. 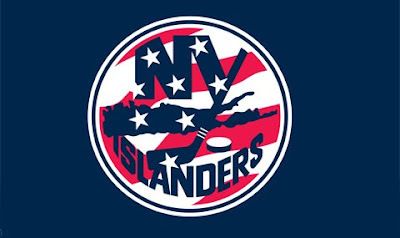 As for the New York Islanders website if an amateur blog like NYIFC can have Steve Webb's update four or five days ago they are not giving the fans enough new information. No one is asking for infomercials daily from Snow, Gordon or even the players but how about a crummy list of who is attending camp like so many other clubs have already released on their website? It's not a state secret to do a pdf file of who is attending and post a link? Isn't the idea to get folks excited about camp and the start of hockey with a televised game in a few days? The Ct Post Michael Fornabaio tonight had the list of Bridgeport invites so we have that, if the Islanders are not inviting anyone it should only make it easier to release the full camp list now. The Islanders on the website for the Coliseum preseason game against NJ have the camp roster listed so perhaps I was wrong on that. Still announcing the complete roster in a separate update would not have hurt. Bottom line Mr Wang-Rechler will get their vote/certainty (or not) at some point and it still may happen by opening night. If TOH hired agency does not do it's job over a disagreement on billing and slow the process the TOH will suffer the fallout for their part if Wang-Rechler walk away from the project after opening night. Charles Wang is stuck in his Islander lease certainty or not unless Suozzi cannot get him a new lease agreement after a TOH approval regardless who is interested. Mr Suozzi sure has been quiet lately, just as he was for two years after the MOU. I'm getting interested to see how many owners still want to turn down Jim Basillie over spending 140m of their own money to carry the Coyotes under the NHL umbrella and forfeit his 200 plus million bid and relocation fee. For those scoring at home that's about a 400m dollar swing with a relocation fee included vs owners spending out of their own pocket to run the franchise through the league. Character has it's price too. I'm also fascinated to see Richard Peddie and the Leafs teachers pension fund make a case for keeping a team out of Canada while the same media lobbied for another team in Canada all these years who will wrap themselves in the Leafs media flag if it comes down to a relocation vote. I guess for them a team can only relocate to Winnipeg. You can bet Buffalo does not want another team near them also. By my count (or the media articles at the time) the Coyotes lose as much as the Rangers did heading into the lockout in a far more modern building so why shouldn't they stay and see if a winning club changes the financial dynamic? So the International Ice Hockey Federation approved the disputed transfer of Jiri Hudler from the Detroit Red Wings to Dynamo Moscow on Wednesday even though he was Wings property as Radulov was a year ago? I'm curious what can any of these organizations/leagues do to stop anyone from doing anything? Was Rene Fasel going to call the KHL police and haul Hudler off the ice during a game for playing in the KHL or if Alexei Yashin wanted to sign with an NHL team tomorrow was the league going to lock him out of an NHL facility with league security once he came to terms with someone? Nikita Filatov last week pretty much said (if not misquoted or misinterpreted) that if he does not get NHL ice time he could have signed in the KHL despite his NHL contract with Columbus like he was doing the Jackets a favor. Twenty years ago we had players in Europe escaping countries to come play in the NHL, it feels in terms of contracts the same thing is still happening with no apparent hope or even discussion of a transfer agreement. What can I write that I have not written before before departing? This is around the time so many worthless previews come put that don't even know the Isles lost close to a thousand games to injury mostly since January of 2008 or even report it. Do you really think they care about all the one-goal losses or blown leads? Many of these writers don't write about four playoffs in five years before that and frankly don't care about that mediocre result (nor should it overplayed either) but will them portray them as a basement dwelling club as if they have not seen a playoff series as long as some other clubs in this league. Many of these professional projections begin with the Milbury era or things of little/no consequence to the 09-10 season and it's because they don't follow our team enough to give us anything of relevance but have to write something. You think most of these writers care DiPietro played sixty plus games the previous two years when they want to write about his contract? It's not a knock on many writers either in some cases, they don't get enough space to follow their own local teams much less preview clubs they don't see play some years and sure in some cases the coverage is poor for a lot of reasons but that's old news. If I had to do a Coyote preview I would be writing about Bob Francis or Winnipeg, how many years did Gretzky go before visiting the Coliseum as a head coach two season ago? Rick DiPietro never went back to the city he was drafted in until 2008 to play a hockey game. Scary how so many media folks and fans associate winning a playoff series with a successful season these days? Call me an older fan but winning a playoff series here never used to be any cause for celebration without a Stanley Cup. But this is old news you know, time to move on. I think on paper this team will be better than most will project, I see them in the playoff mix all the way if they are healthy if not qualifying outright. But I wrote that last year which was a lost season before it even started. For all sports some intangibles have to happen to be successful, the New York Islanders are frankly overdue in this department. Last year only one intangible went huge in this teams favor and that was Mark Streit's defense and overall play. Okposo drifting to left wing/center and his production was acceptable for a first full season as was Bergenheim's play after he and Scott Gordon got on the same page but I felt at times Okposo was cheating his natural right wing position by drifting to his left and center so much to get chances off his forehand, Scott Gordon after the season discussed why he was moved him to the left wing for a time and also had him on the left powerplay point. Okposo has to score off his natural right wing side and what made him a top pick. Aside from these things and maybe Witt getting back his full mobility after December, no single intangible really went the New York Islanders way all of last season unless you want to add some moderate progression from Bruno Gervais in how he played bigger and was more involved. This time the intangibles have to be different, this time Bergenheim, Comeau, Nielsen and Jeff Tambellini have to carry their offensive weight after all the time they have gotten in the NHL despite Tambellini's benchings or Comeau being sent down. The veterans on the backline have to stay healthy or Jack Hillen/Andrew MacDonald/Calvin deHaan (if signed) or Mark Katic have to take their spots from them. Yes, it starts with a mostly healthy roster or a manageable amount of injuries. Yes, Trent Hunter has to get his twenty five goals and skate much better, Doug Weight has to produce at even strength and at times accept a lesser role, Richard Park has to have his hot streaks with a lesser role. Tim Jackman has to use that twenty goal ability he showed in Bridgeport and finish some of those chances his hard work created. Yes, a Trevor Smith, Jesse Joensuu, Robin Figren, Matt Martin, Tomas Marcinko, Justin DiBenedetto or someone else does have to break through and make an unexpected impact if the chance comes for them or even Jon Sim if those forwards cannot produce. Yes, Scott Gordon has to prove his system and methods can work with a healthy team at this level, break in a new coaching staff and somehow not put too much pressure on so many young players and has a huge task in front of him. I loved the coaches comments Bergenheim should not be worrying about scoring but when someone is drafted with a first pick in 2002 and your team is 29th is scoring of course you are going to worry about it and press. Yes, the pressure on Tavares and to a lesser degree Josh Bailey without a prime scoring forward will be enormous especially if the club does not have a breakout offensive game. Yes, Garth Snow is going to have to learn there are times where you have to make changes when some things simply are not working or holding back other players whether it be come waiver time before the season or to get his team out of a slump. Yes, a lot of intangibles for this to work and for this club to be in contention. About a good seven out of every ten intangibles have to go in the Islanders favor this season with some surprises. Last year one intangible worked out in the Islanders favor. I know in sports sometimes you make your own breaks/intangibles. Last year was not that time. This time it not only has to happen but in many cases it should happen. What a surprise (not) Roberto Luongo got a huge front-loaded deal that will pay him ten million dollars starting next season after his current contract expires. What folks do not get is DiPietro's 4.5m deal (much less than Luongo) was not front loaded which is why he did leave a lot of money on the table because an injury, retirement or perhaps a buyout at some point in the future would cost him money that is basically going to be paid to Luongo earlier as he will have the bulk of his money. Charles Wang and a lot of owners cannot afford front-loaded deals to where players get 10-20 million early in the contract complete with NTC. Many corporations can take that kind of huge loss on the books which was a loophole in the CBA that needs fixing but most individual owners cannot. Which leads us to Paul Kelly being kicked out as NHLPA leader when that CBA is up in about two years. It will be interesting to see if the next person is militant and will want a league with many franchises losing money to simply absorb even more losses that should have a ceiling of about 40m and a floor of about 30m with no front loaded deals. Pat Flatley resigned when Kelly was fired, I wonder if Glenn Healy will do the same and is the Heals and Flats show over at the NHLPA. I have no doubt if some players who were always about big money and making their own rules (Eric Lindros) are part of the next NHLPA leadership there will be another lockout. Here's a real shocker for Islander fans in New York, a market where the media does actually pull for the home team despite a decade of losing had both local writers rip the Luongo deal today because the league questioned the Hossa deal by the hometown Blackhawks in the Chicago Daily Herald & Chicago Tribune. When the Islanders sign players to long term deals Newsday usually leads the pack with criticism for the home team. Goes to show how some local media in some markets do protect their own team regardless of how long the contract is or for how many years. What do you want me to write about Katie Strang? She is covering two teams and trying to give blog entries on the Islanders. That's her editor's choice if you are looking to place blame. Don't worry, we have Mark Herrmann to cover the home team for Newsday (not the Isles) too bad our club does not receive that coverage for a player coming here off a poor season and it sure has been a while since the local paper had a word from John Tavares. Congratulations and best of luck to Mr Botta for being added to Fanhouse, his feed and new site was added here for as long as NYIFC is visible, when he finds a new home for Point Blank that will be added as well. Having written that his comments on Rob Hennigar to me were unfair writing his signing was brutally misguided and that he was a non-prospect. At the very least it required a lot more elaboration if he is going to make such claims. Hennigar was the 2007-08 Canadian College Hockey Player of the Year and signed with an impressive resume here he put up some good numbers in Utah when he got adjusted to the next level and it's obvious another NHL organization had no problem taking a chance on him. Hennigar deserved better from a man who a year ago at this time was lobbying to get rules changed so Brandon Sugden could play at the professional level and did such a classy job making his case the rules were waived so Sugden could return. It should also be noted his recent entry on Charles Wang and honoring tradition was also unfair in a lot of ways. Whenever Wang brought back former teams all we got from Newsday was Wang was doing it to sell tickets and Jim Baumbach questioning whether Al Arbour's win should count which if he pulled that in a market with ten writers who were big time fans of the team they would have eaten Baumbach alive faster than Steve Zipay ripped Ranger fans for ignoring the Bathgate and Howell retirements. Mr Wang tried to make up for a lot of things John Pickett failed to do and this organization has a lot of former Islanders working here. Bob Bourne should not be the only one in the new Islanders Hall of Fame but let's give Wang a little more time because two years ago he took criticism for Core of the Four Weekend which was absurd and now he takes criticism again? So the Bridgeport Sound Tigers Vice President to Howard Saffan is Luke Milbury, who I would gather is the son of our former general manager being Mike Milbury has a son named Luke, why was this hidden from the public until today's release? I guess to ask this question is to answer it by writing that may not go over very well at all considering all the cutbacks in the Islanders media department, even if he does an excellent job. So the public comment period is over for the Lighthouse and it's down to the hearing, adopting a final scope which means x buildings go on x spot and then the zoning is approved or rejected with a vote. What are the fans needed for when they cannot speak or participate? Especially when the team is basically shutting out any fan who does not live on Long Island? Believe it or not folks, I actually believe the TOH did not know that was the date of the Kansas City game because most of these people could care less about the hockey team or name five players much less know their preseason schedule. If they really picked the date to bust Wang's chops it just tells me they don't want the project despite all the recent (election year) talk of working together. Finally I am almost out of things to experiment with and will likely be done by the time the club hits the ice in Saskatoon. I also added Justin Bourne's THN feed to our media blog feed section with his link and many other professional writers added to the sidebar.